A Chicago police officer was hurt in a crash downtown Thursday night, which caused a traffic back-up on Lake Shore Drive near Monroe, officials said. 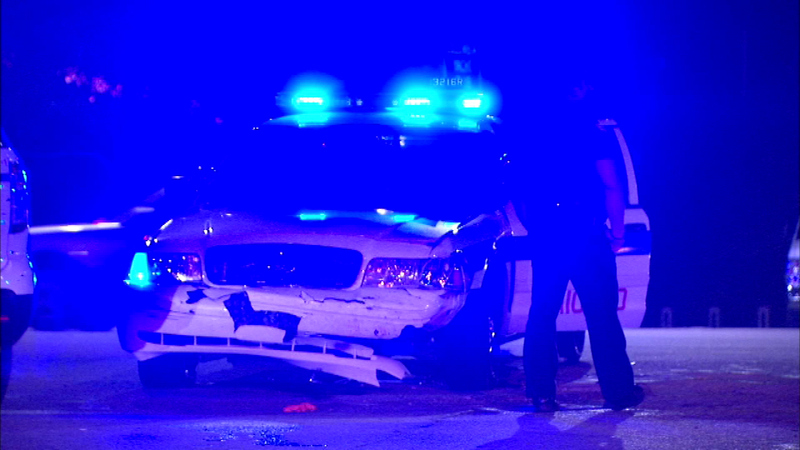 CHICAGO (WLS) -- A Chicago police officer was hurt in a crash downtown Thursday night, which caused a traffic back-up on Lake Shore Drive near Monroe, officials said. A gray sedan crashed into the squad car at about 10:30 p.m.
Three other people refused medical treatment, officials said.